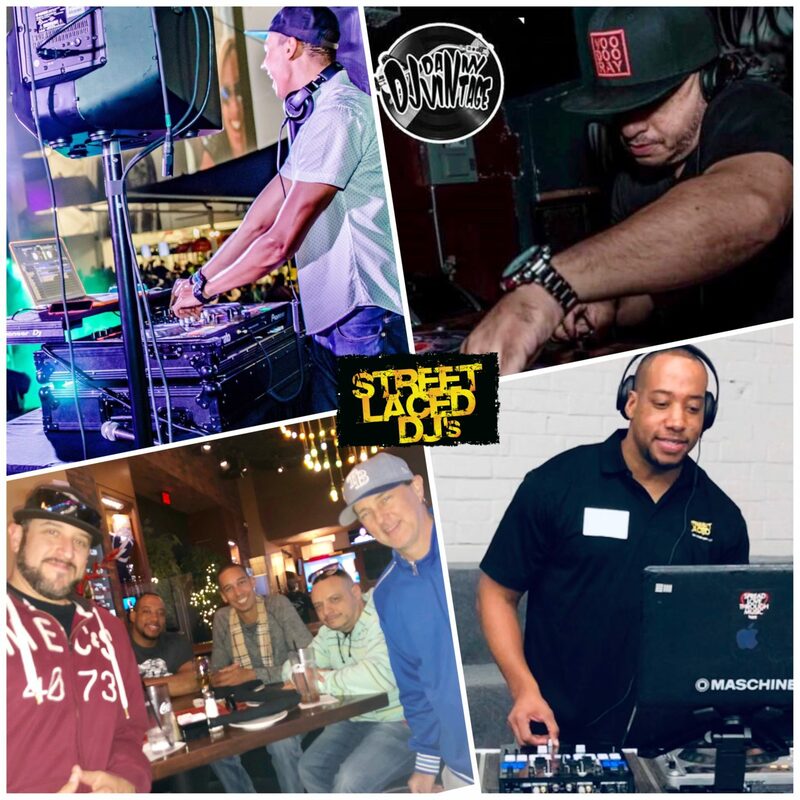 If you follow Street Laced on any of our social media outlets, or perhaps you just were out and about in Tampa Bay this past weekend or this upcoming week, the chances you saw our Street Laced squad or will see them is a pretty solid bet! 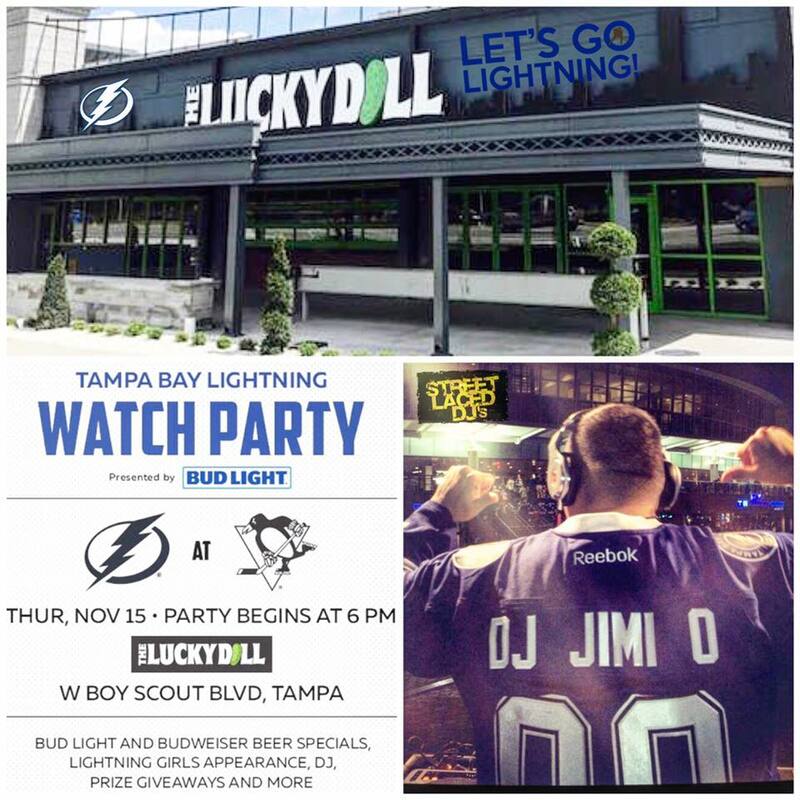 We started things off for the official Tampa Bay Lightning watch party at the BRAND NEW Lucky Dill Westshore as the Bolts battled the Pittsburgh Penguins up north. 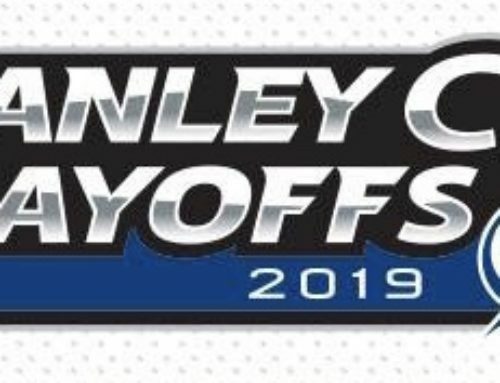 Street Laced DJ’s own DJ Jimi-O was on hand along with the Lightning Girls, Thunderbug, the Rolling Thunder crew and hundreds of Bolts faithful to watch the Lightning go on to WIN the game, 4-3! 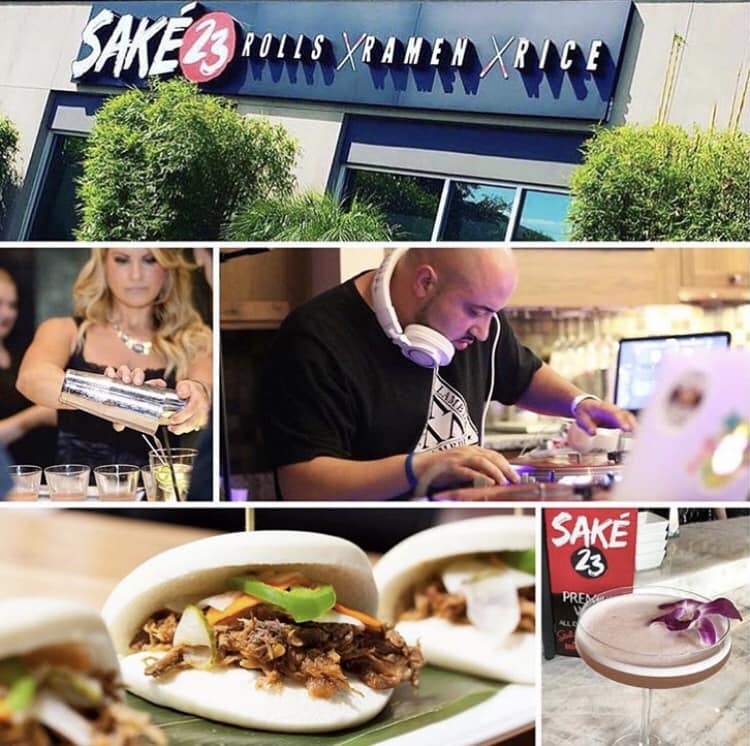 On Friday Night, Street Laced DJ’s took over Downtown St. Pete at the all new Sake 23, with DJ Don Pablo on the set, mixing live all night for the St.Pete socialite crowd. On Saturday, we were at two major events in the City of Tampa with both DJ’s and Entertainment. 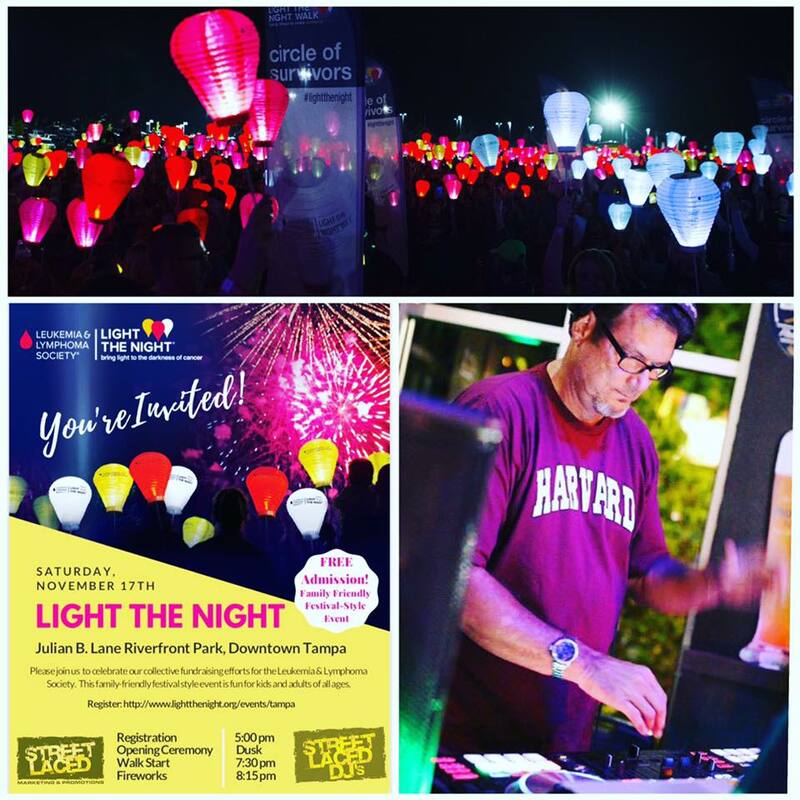 We were proud to be a part of the Leukemia & Lymphoma Society “Light the Night Walk”, (#LightTheNightWalkTampa) which took place at Julian B Lane Riverfront Park. 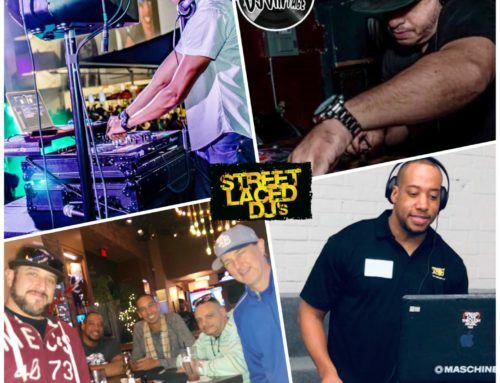 Street Laced DJ’s own David Stiles was on music duty and MBP handled the sound elements for the festivities. The event helps to fund treatments that are saving the lives of patients today. 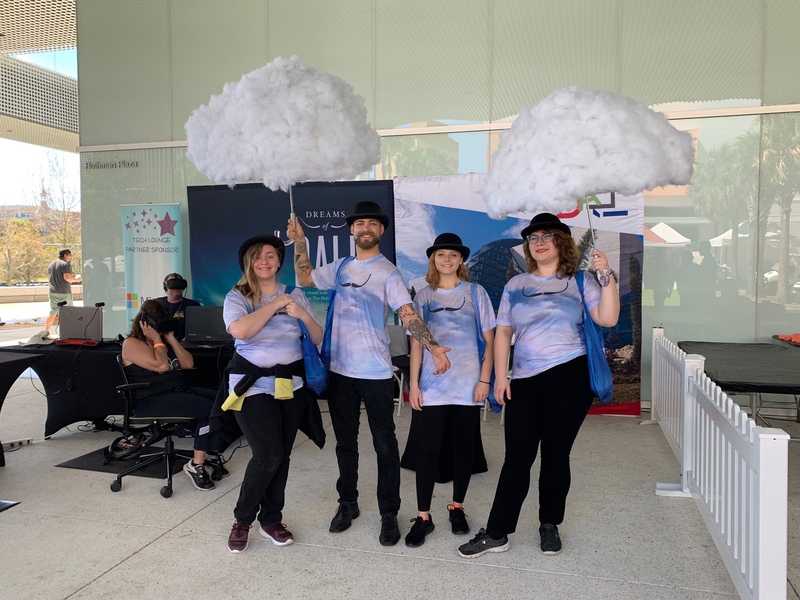 #LLS is making cures happen by providing patient support services, advocating for lifesaving treatments and pioneering the most promising cancer research anywhere! 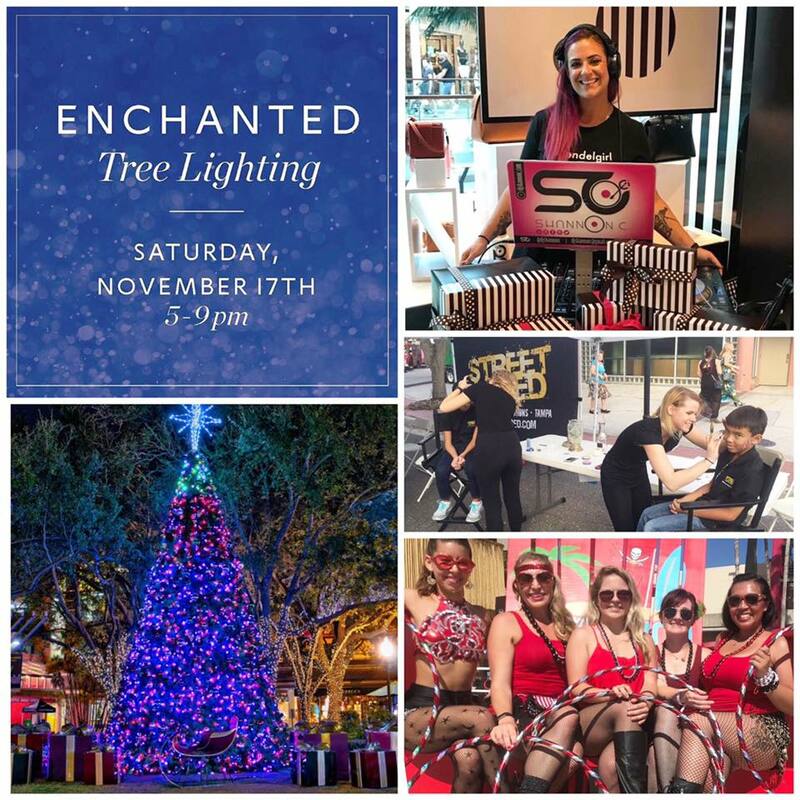 At the same time, just up the street, we helped bring the holiday festivities to Hyde Park Village for their Annual Enchanted Tree 🎄 Lighting Festival, benefiting the Ronald McDonald House Charities of Tampa Bay! 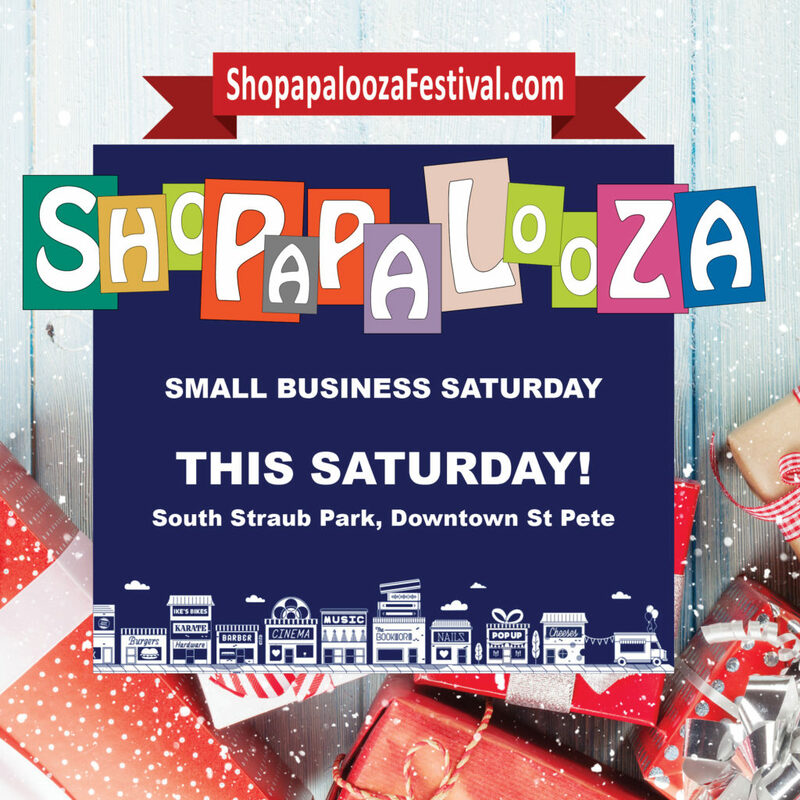 The event included the annual #Tampa tradition of lighting the Enchanted Tree in #HydeParkVillage, photos with Santa, live music by Street Laced DJ’s own DJ Shannon C, as well as Late Night Brass, Food and Beer Trucks, a Kids Zone with face painting, balloon animals, Hoola Monsters & more, provided by our awesome Street Laced Entertainment team! 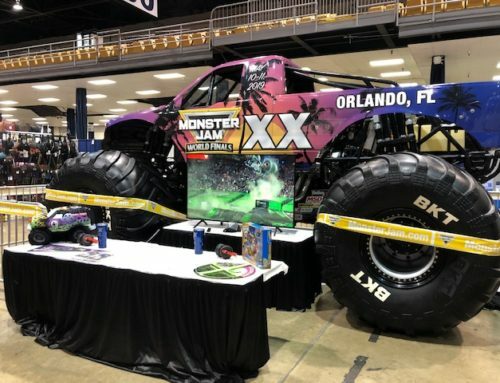 Huge shout to the Tampa Bay Times and J.J. Taylor Distributing Florida, Inc. for making it all possible! 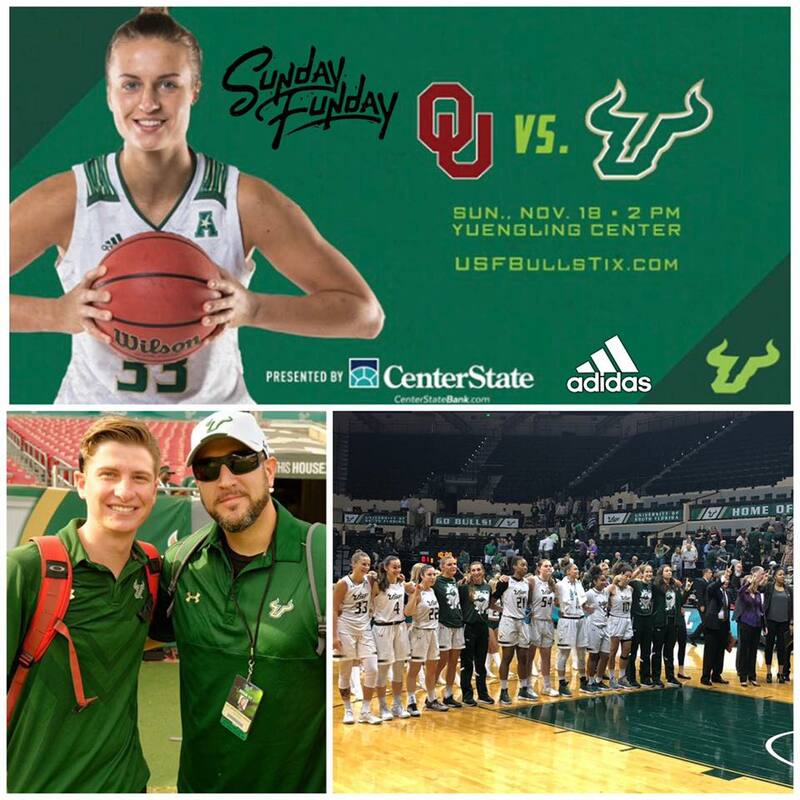 On Sunday, Street Laced took over the Yuengling Center as the undefeated USF Women’s Basketball team battled the undefeated Oklahoma Sooners, which surely was an exciting game for all in attendance! 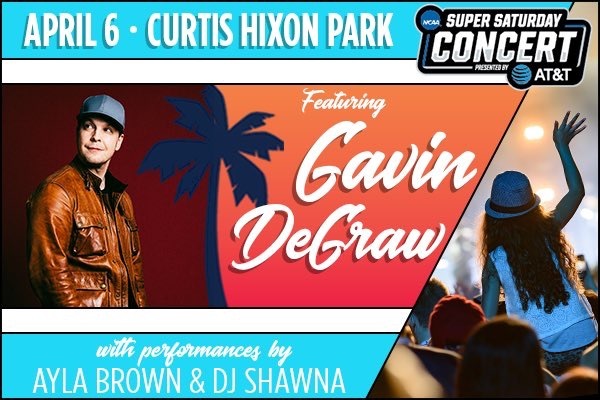 Street Laced’s own MC White powered the music vibes as the game was hosted by VP of Street Laced Greg Wolf, who both kept fans hype as the Bulls went on to secure their 4th straight victory, dismantling the Sooners by a final score of 87-70! With the Thanksgiving week upon us, our plate is surely full once again! 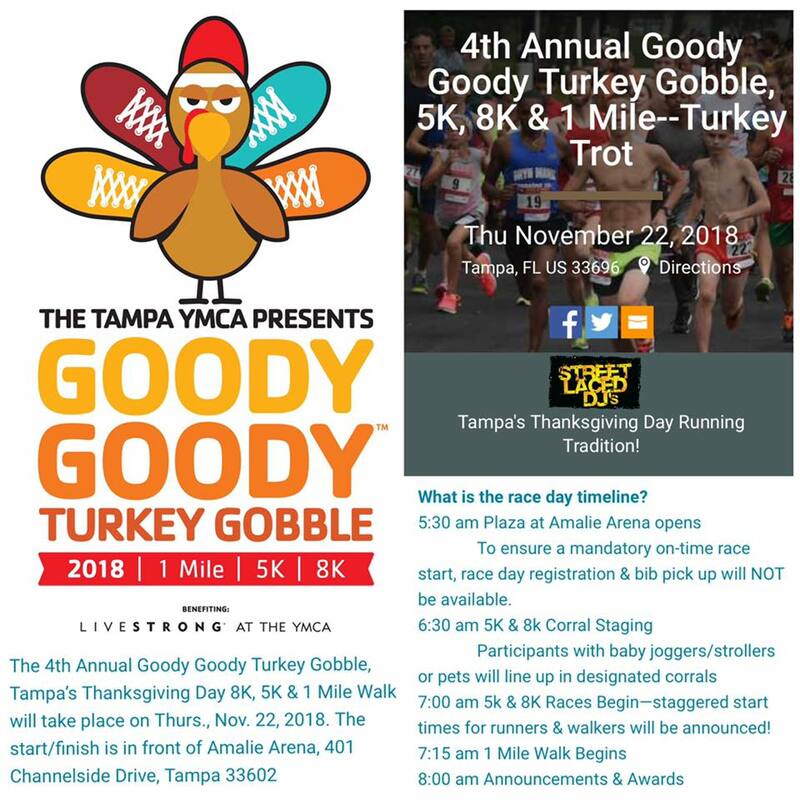 The 4th Annual Goody Goody Turkey Gobble 5K, 8K & 1-Mile Turkey Trot on Thanksgiving Day at Amalie Arena and the Shopapalooza Small Business Saturday at Straub Park in St. Pete! 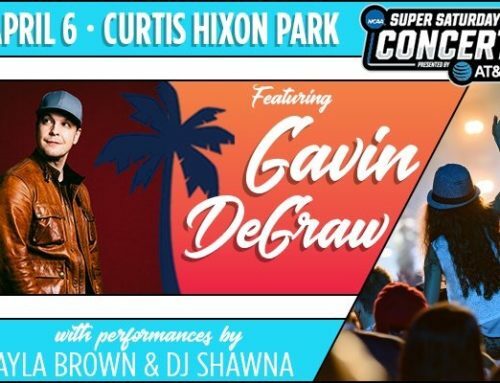 We will be back on DJ and Entertainment duty at both events, so if you see the team, stop by and say hello! Happy Thanksgiving from all of us at Street Laced!